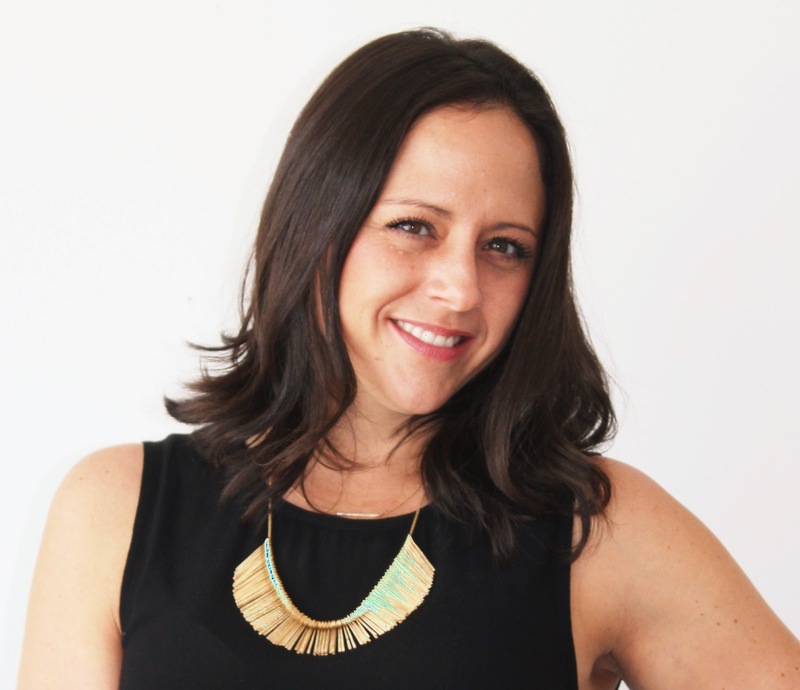 This is a guest post by Sarah Schaaf, CEO of Headnote. Here’s a simple question: How often do you pay for goods and services using an electronic payment versus writing out a check, stuffing it in an envelope, licking a stamp, and dropping it in the mail? It’s likely safe to assume that, like most other consumers, the bulk of your transactions are digital. If you’re an attorney or law firm it’s important to remember that your clients are consumers, too. However, only 15% of solos and 12% of small firms are currently offering online payment options for clients to pay their fees. If you aren’t already offering clients the option to pay legal fees online you likely know you should but haven’t had a chance to make the switch. Or perhaps you’re avoiding offering online payment because you’re afraid of the transaction fees. Either way, there are some compelling arguments in favor of offering online payments, and we’ve listed 5 of them below. According to the World Payments Report 2017, global non-cash transaction volume has increased an unprecedented 11.2% from 2014 to 2015. In mature markets like the U.S., digital payments make up 70% of total payment volumes. The vast majority of consumers are transacting online for convenience sake – it’s faster and easier for them. If a solo attorney or small firm wants to be modern, efficient and business-focused, offering online payment as an option to their clients is a no-brainer and effective place to start. Paying online is also what your clients (a.k.a. consumers) have come to expect. As attorneys know, getting a client can be tough, but keeping them happy and satisfied can be even more difficult. Anything you can do to make your client’s life easier and give them the best possible experience (from the work you perform on their behalf to the way you send them invoices) will reflect positively on you and your firm. Offering online payment is no exception. In fact, a recent study showed 71% of consumers report higher satisfaction when given the option to pay online, and 36% were less likely to switch to a competitor if sent an electronic bill over paper. Giving clients an easy and positive payment experience is directly related to your firm’s pipeline of new business - law firms that offer online payment are more likely to have happy repeat clients and get more referrals. Recall the earlier mentioned scenario of clicking a few buttons to make a payment in minutes in contrast to the check writing? Your clients want to save time just as much as you do and most prefer an online payment option. And if it’s easier for them to pay you, you’ll get paid faster. Headnote, a fast-growing company that is the new standard in legal payments, has measured that when invoices are sent and paid online over their platform 84% are paid in under a week, thus dramatically improving payment time from the industry average of 60 days or more. Having money in the bank instead of waiting for a check to arrive in the mail certainly makes it easier to manage finances and grow your business (it takes money to make money), plus it saves you or someone on your team a trip to the bank to physically deposit checks - that’s more hours you can spend billing, and more revenue in your pocket. While we’re on the subject of doing more with the time you’re currently spending on non-billable work, let’s examine the options to outsource as much of that time as possible using technology. Headnote not only allows your client to pay fast while providing a delightfully easy payment experience, it also automates the AR tracking process by keeping track of the status of all outstanding invoices on your behalf. You can also automate your follow up and collections process with Headnote by using the Automated Reminder feature. You decide the cadence and personalize the content, and your client is automatically emailed reminders until your invoice is paid in full. You get updated via email whenever there is a status change to an outstanding invoice. What you do with the time you save it up to you. By taking this type of non-billable work off your firm’s plate you can spend your time marketing to more clients, performing more billable work, or doing whatever makes you happy. Most firms have at least some support staff either in-house or working remotely, and most business owners think of these team members as a sunk cost. But the smartest firms have figured out that if they combine an online payment system with their current team a cost center can become a profit center with a few easy changes. Take for instance your front office staff. Many firms no longer have receptionist working in-house, rather they’ve started using services like Smith.ai to outsource their phone answering and reduce their costs. But did you know you can use these staff members for more than just inbound call answering? Smith.ai’s virtual receptionists can accept payment on-demand over the phone for a caller that wants to book a paid consult on the spot, or make one-off polite outbound calls to follow up with clients with past due bills and take their payment over the phone. Even better, you can take your entire list of clients with outstanding fees in AR and give it to Smith.ai so they can follow up on your behalf and accept phone payments. You’ll collect more revenue than you would without the follow up, and by outsourcing this non-billable work you have more time to focus on your clients. But there is a way to pay less than traditional credit card processing fees for industry-compliant online payment. Headnote is blazing a trail in Financial Tech to help reduce transaction fees for law firms by creating a IOLTA and American Bar Association (“ABA”) compliant eCheck payment process. Although Headnote also offer credit cards, their exclusive eCheck option allows you to offer client-friendly online payment but at a fraction of the price of credit cards, only 1.9% for both trust and operating account transactions. You get all the direct and indirect benefits of online payment but at a much lower fee. Merchant accounts: Most credit card or eCheck processors will briefly hold a client’s money in a merchant account established with a FDIC insured bank while verifying the details of the transaction, then transfer the money to your firm’s operating account. This is completely standard practice in all banking and online purchase relationships whether paying via credit card or eCheck. Headnote’s flow of funds separates earned from unearned fees at all times even within the merchant account, so your clients funds are completely protected at all times. Online payments are a modern eventuality that nearly everyone prefers, so attorneys should prioritize offering this option to their clients and utilize every member of their team to help drive profits. Your clients will thank you by paying you faster and wanting to work with you over and over again. 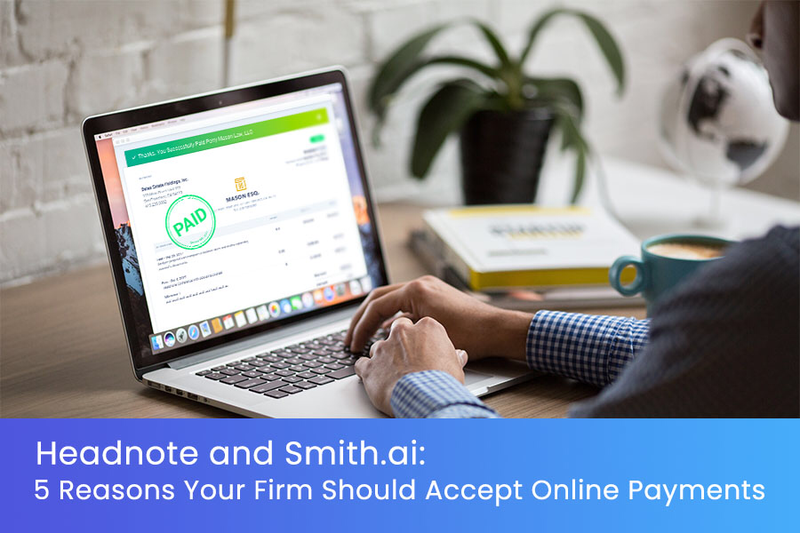 Most importantly, Headnote will help make sure you are totally compliant in how you accept online payments and Smith.ai can help you get paid more on the dollar and more often by accepting payments via both inbound and outbound calls. Why should I choose Headnote to be my firm’s online payment partner? Headnote is the easiest payment tool on the market made specifically for law firms and is 100% compliant with lawyer’s rules regarding online payment including IOLTA and the ABA Model Rules of Professional Conduct. You can sign up in just a few minutes with zero commitment - you don’t need to pay set up fees or monthly fees, and you don’t need to switch any of your current systems to start using Headnote. Headnote allows firms to start easily generating secure payment request links that you then add to your current invoicing process, including legacy systems, cloud-based practice management, or billing or accounting software. You send the Headnote payment request link however you currently send invoices to your clients, whether it’s via existing software, email or PDF. Get $50 in transaction fee credits to try Headnote totally risk-free. To get started, go to headnote.com/smithai and claim your $50 in transaction fee credits. It only takes 5 minutes to sign up for Headnote and start generating payment requests and there are never any monthly or membership fees or contracts - only pay-as-you-go transparent transaction fees. Or if you’d like to learn more about how Headnote can help your firm, schedule a demo at your convenience. There is no easier way to modernize your firm’s payment process to start generating more revenue and happier clients. Sarah Schaaf is the CEO and co-founder of Headnote, the new standard in legal payments. Sarah is a “reformed” attorney licensed in the State of California. After practicing at multiple firms and an in-house role at Google, Sarah founded Headnote in 2016. She lives in San Francisco with her husband, children, and rescue pup, and loves the podcast More Perfect about the US Supreme Court. Sarah can be reached at sarah@headnote.com.